The clean-cut design of the Liberty 3 in. 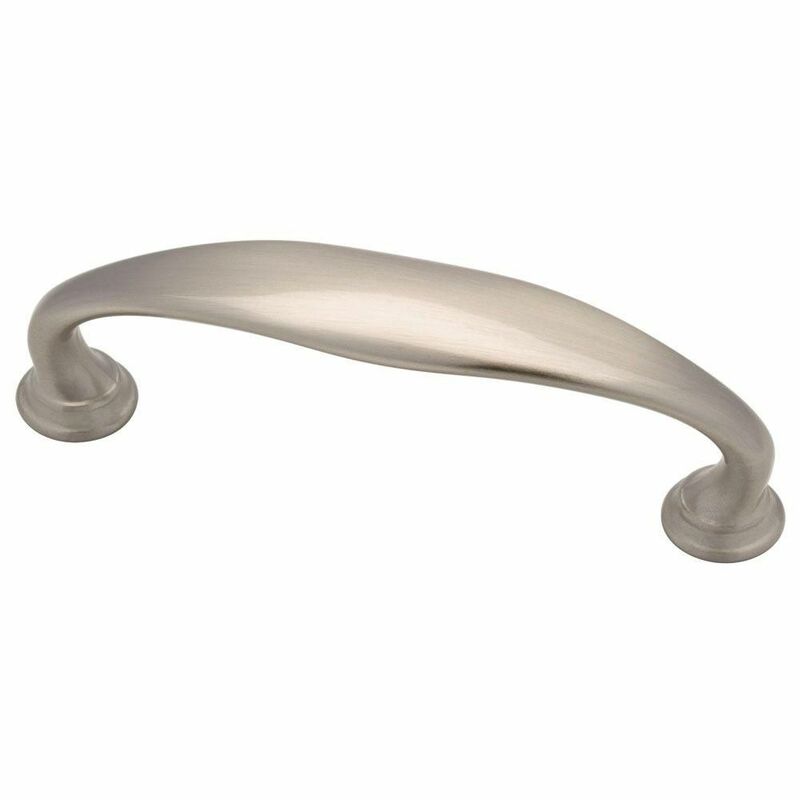 Satin Nickel Spoon Foot Pull lends itself to multiple aesthetic styles. It features a 3 in. center-to-center, rear-mount design for easy installation. The metal base material is built to last and is coated. 3 Circus Pull, 1 per package The Liberty Chrome II 3 in. Satin Nickel Circus Pull features elegant lines and a distinctive finish to add contemporary style to cabinets or drawers. Ideal for use as an accent for kitchen or bathroom cabinetry or furniture. Mounting hardware included for easy installation. 3 Circus Pull, 1 per package is rated 4.5 out of 5 by 4. Rated 4 out of 5 by Rob from They have made my life so much better. I can... They have made my life so much better. I can wake up a happy dude. Rated 5 out of 5 by buildit from I have not installed the handles yet but I like... I have not installed the handles yet but I like the design. Hopefully, they will be fine.